Carloh wanted to complete its offer! Its fleet now has electric vehicles at your disposal, in order to meet a need and a philosophy of driving more environmentally friendly. Very easy to use, this type of car offers you comfort as well as a highly appreciable silence when you’re driving, while respecting the environment and having enough space for 5 passengers in total in each car! These cars have a battery life of at least 100 km and even 200 km for the newest models*. Driving an electric vehicle is the same experience as driving an automatic combustion vehicle. 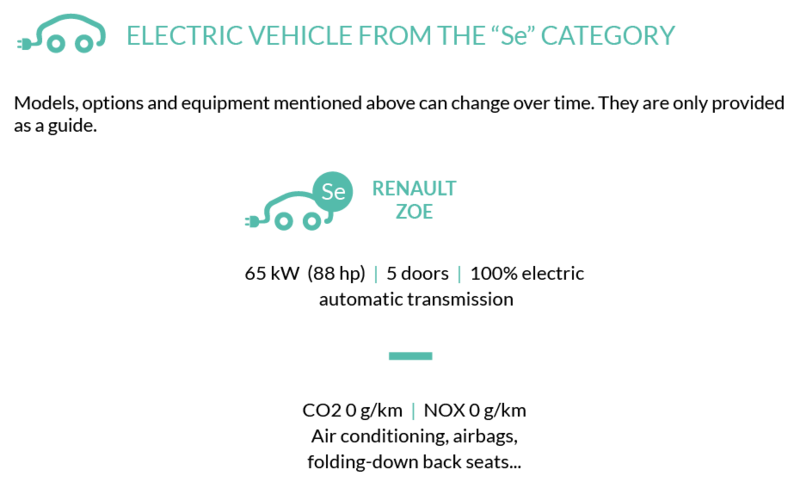 In terms of rates, using a vehicle from the “Se” category is billed the same way as using a vehicle from the “S” category, as the charging electricity and the battery renting are included. The stations offering 1 electric vehicle each are: Parking Schuman (Limpertsberg), Schuman roundabout, L-2525 Luxembourg, and Parking Rocade (Bonnevoie), rue du Laboratoire, L-1911 Luxembourg. You can charge the car directly after your trip, at the parking station where you picked up and brought back the car. All it takes is to recharge the vehicle you used once your trip is over. 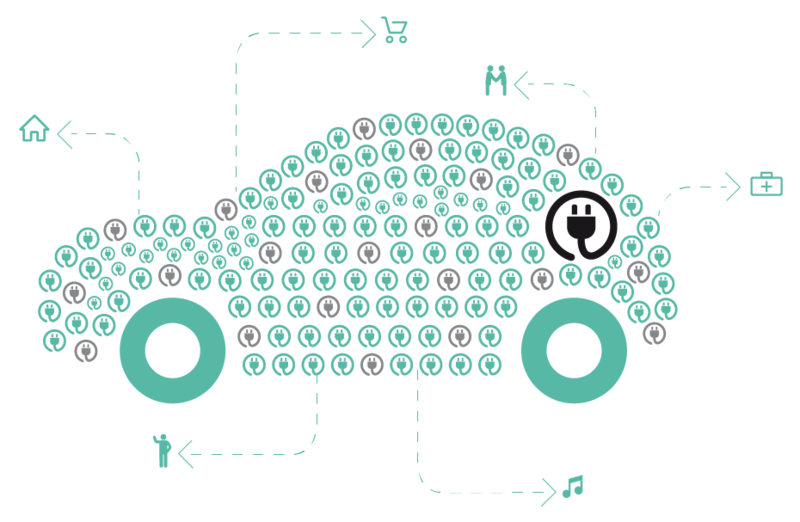 * Battery life and eco-driving: in order to travel a maximum of kilometres with peace of mind in an electric vehicle, it is important to drive “eco-friendly”. This driving style can come down to avoid continuous and repetitive strong accelerations followed by strong braking, as well as use the “Eco” mode of the cars as often as possible.